Close your eyes and take a moment to picture your dream kitchen. Are the countertops bright and inviting, or are they a deep, modern color? 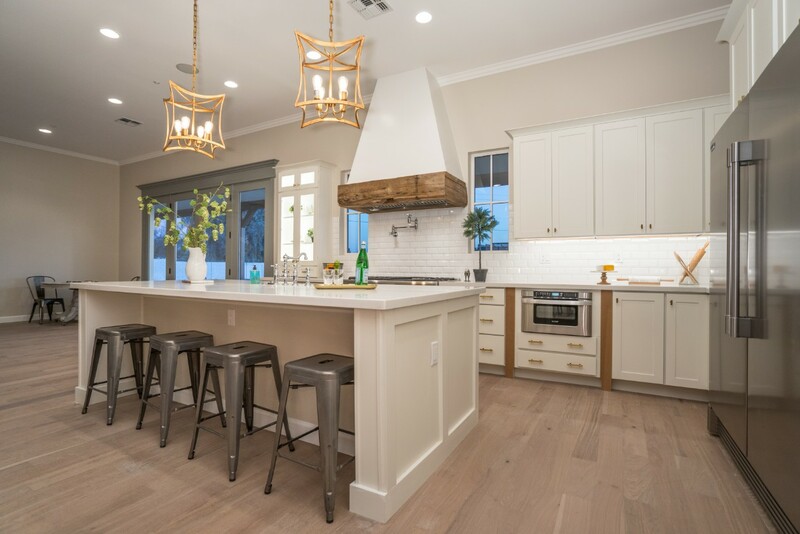 What sort of light fixtures are illuminating your cooking surfaces? How many people can comfortably cook at once? Whether you have every kitchen remodeling detail laid out in alphabetical order or you only know what colors you want, it’s time to call Dwell House. We have more than 20 years of experience remodeling and designing kitchens, and we are confident using the knowledge we’ve gained over the years to design the kitchen of your dreams. From appliance selection to backsplash installation, our team does it all. We work closely with you to determine what it is you’re looking for in your new kitchen. After we have a strong understanding of your vision, we bring it to life. Regardless of whether you have one idea or 50, we’ll make it all come together. Dwell House believes in providing kickass home designs to those who deserve it most. Arizona has never looked so good. Reach out to our team now to schedule a consultation with us. We can’t wait to get you cooking up an incredible meal in the kitchen of your wildest Pinterest fantasies. Contact us today to get started!